Reinforced, wider seat for more comfort. Offers balance, support, and temporary relief when walking. The Juvo Travel Cane Seat slides open to change from a traditional cane to a convenient seat. 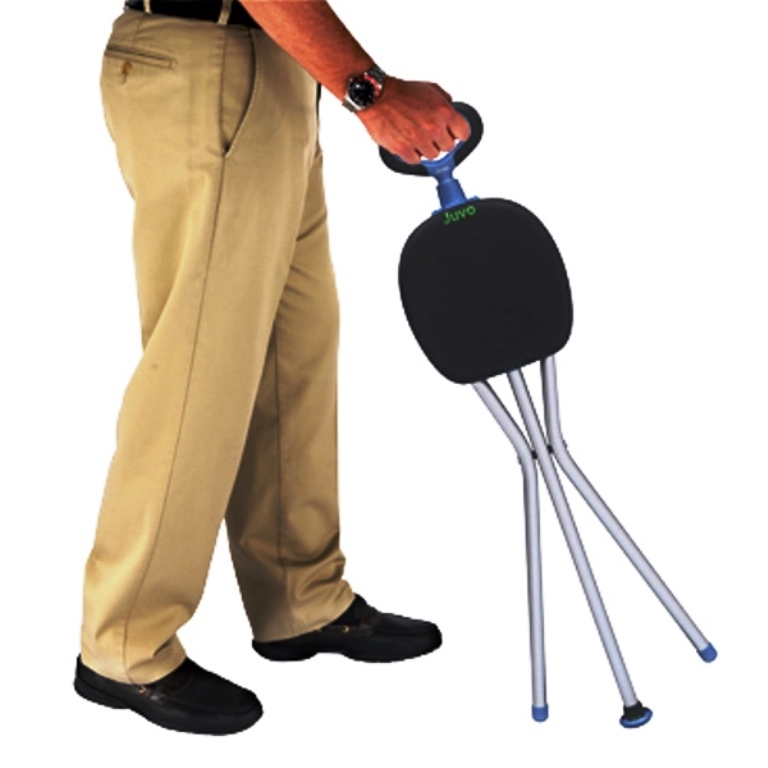 The tri-pod design with vinyl, contoured-tipped legs provides support and balance while using the cane seat. 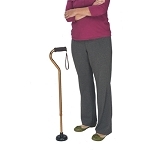 The contoured handle is easy to grip, making it easy to carry the light weight 1.3 pound walking cane with seat. The Juvo Travel Cane Seat is made of durable 7/8 inch aluminum tubing which supports up-to 250-pounds without fear of bending, breaking or wobbling. 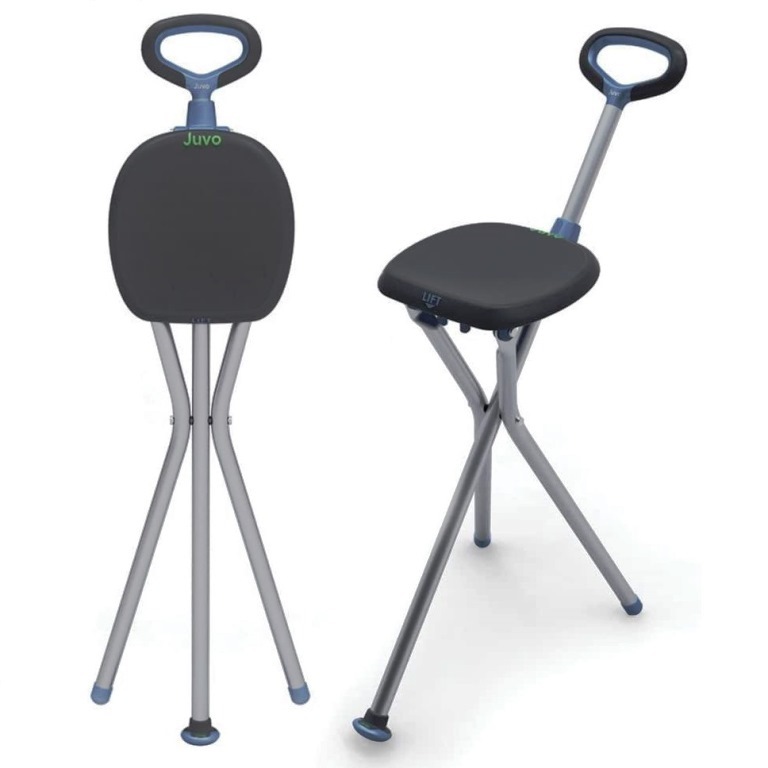 The wide reinforced seat measures 9 x 9 inches and provides maximum comfort. 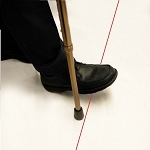 The large tip base offers superior stability when walking. Seat dimensions: 9 x 9 inches. Seat height when opened: 20 inches. Great if you''re under 5''7"
Great idea - sturdy and compact. If you''re over 5"7" however, it will be too short to use as a cane. I''ve had this product for years. It is EXCELLENT. Note, you really have to wear pants as you must sit astride it. When I am in NYC especially, even young fit people come up and ask me where they can get one, as it''s great for bus stops, concert lines - lines of all sorts that we have to endure! Whenever I lose one I just buy another and am glad that someone else is making use of it. Q: how much weight will this device support? A: The weight capacity is 250 pounds. Q: Can you bill Medicare if I have a prescription from the doctor ? A: I apologize, but we do not bill any insurance at this time. Although many of our products are reimbursable through insurance, we do not do it on your behalf. Q: Does it fold? Weight restrictions? Total weight of product? A: Yes, as pictured. The weight capacity is 250 pounds. The total weight of the product is 1.3 pounds. Q: I weight 300 lbs will this hold my weight to sit for short time? A: The weight capacity is 250 pounds. Being 50 pounds over the weight capacity is probably too much to even chance it for a short time.